⊕ Shiny appearance is dynamic and eye-catching. ⊕ Come in all sizes, including XXL. ⊕ 23 colours available; highest in Wolford hosiery. ⊕ Lightly reinforced toe is almost invisible. ⊕ Under 20 Euros and Pounds. ⊗ Become baggy over long period of wearing. Satin Touch 20 is sheer (20 denier appearance) tights in shiny fashion. It is sheer from waist-to-toe. The total length is 98cm when laid on flat surface. 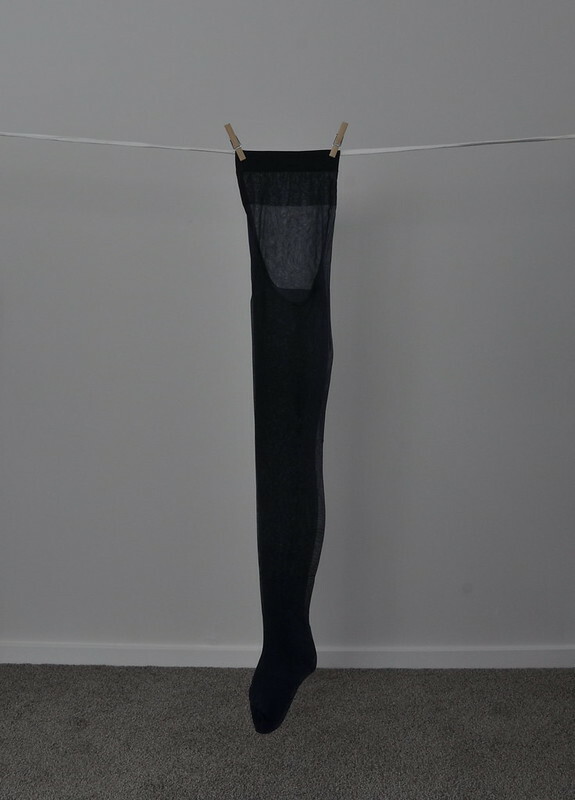 The tights has a relative soft and smooth texture. The Wolford signature knitted waistband measures 3cm wide. The circumference of such is 34.5cm (13.5 inch) when laid on a flat surface. 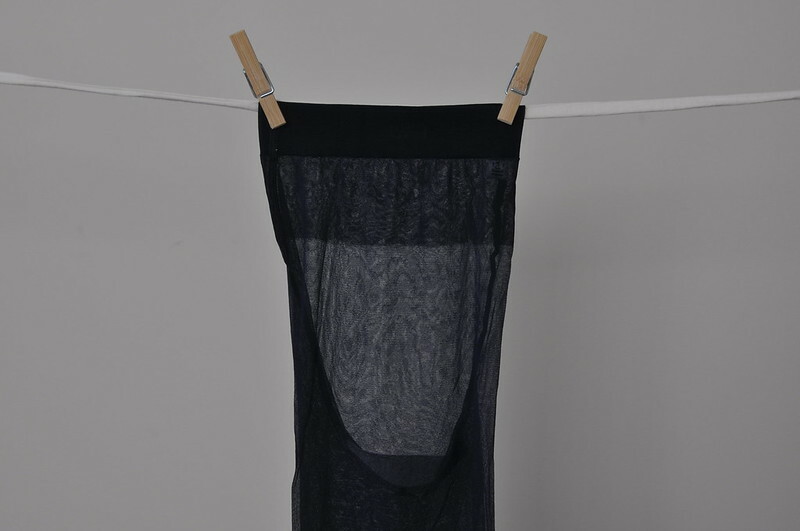 There is also a 6cm-wide finger band in semi-sheer fashion, as well as a knitted cotton gusset. The toe section is lightly reinforced. The composition is 88% polyamide and 12% nylon. Satin Touch 20 Tights come in all sizes. I have included the chart below for your reference. As usual, I bought size S for this review. I counted 23 colours at the time of writing this review. This makes the Satin Touch 20 Tights the widest colour selection available in Wolford’s hosiery collection. The colour I used in this review is Navy, which has a purplish-blue appearance. 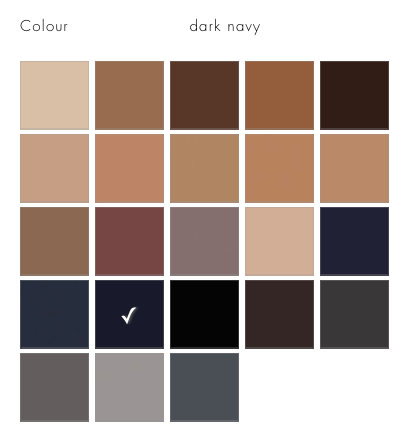 Such colour is no longer available online, and the closest you can get now is Dark Navy. I had no problems with the fitting. 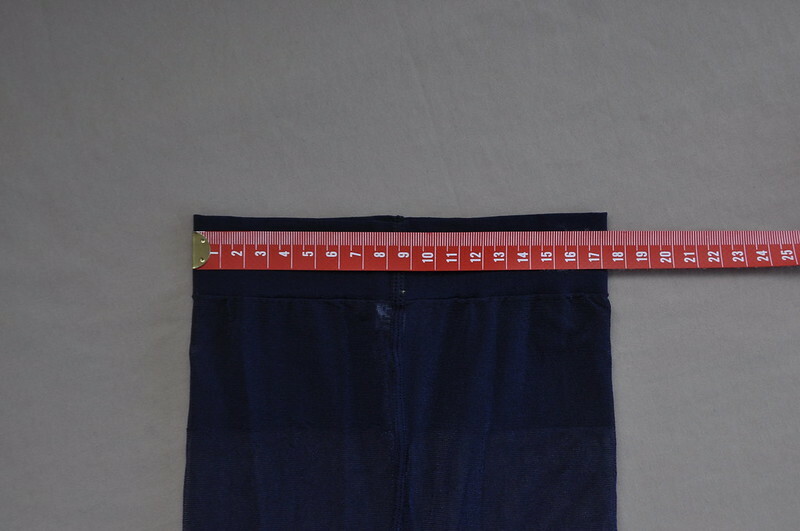 I was concerned about the small circumference of the waistband but it turned out fine, thanks to its great elasticity. It didn’t roll or dig in either. The hose part however, did sag and become baggy after prolonged wearing. I was surprised to find Navy being more of a purplish-blue than dark blue. Such colour doesn’t match my style. Having said that, the shininess is simply amazing. Depending on the amount of direct light the tights receive, it can exhibit from shiny to glossy. This is very dynamic and eye-catching. The reinforced toe has a relative sheer appearance, hence you can pair with sandals with ease. The texture is relative soft and smooth. It was comfortable when I first put them on but gradually sag as the day passed. I could feel the weight of the tights gathering on the lower part of the leg. Its shiny appearance from waist-to-toe makes it a great eye-catcher. The lightly reinforced toe is an additional plus. 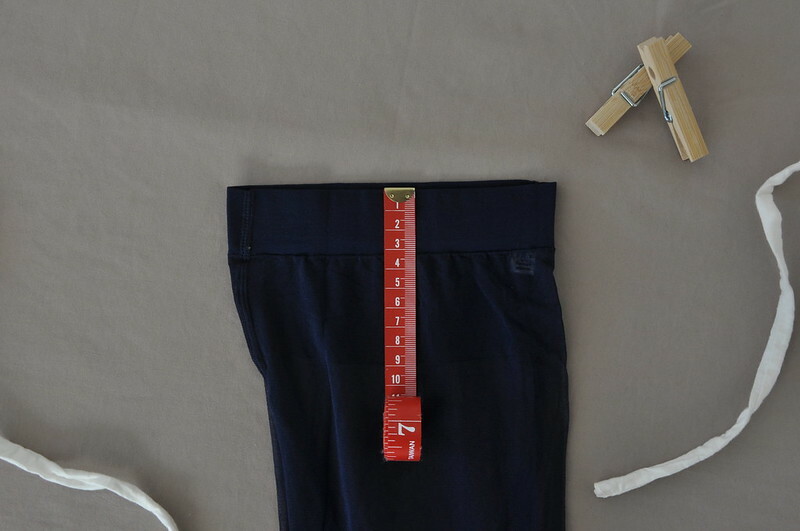 The relative small amount of elastane means the tights do gradually sag and bag over time. Micro adjustments are needed throughout the day. Satin Touch Tights is among the cheapest tights in Wolford, priced at €19, £19 or USD$35. They do sell them in packages of three for the price of two, which makes the tights even more cheaper. In addition, Satin Touch 20 also comes in stay-up, knee-highs and socks. 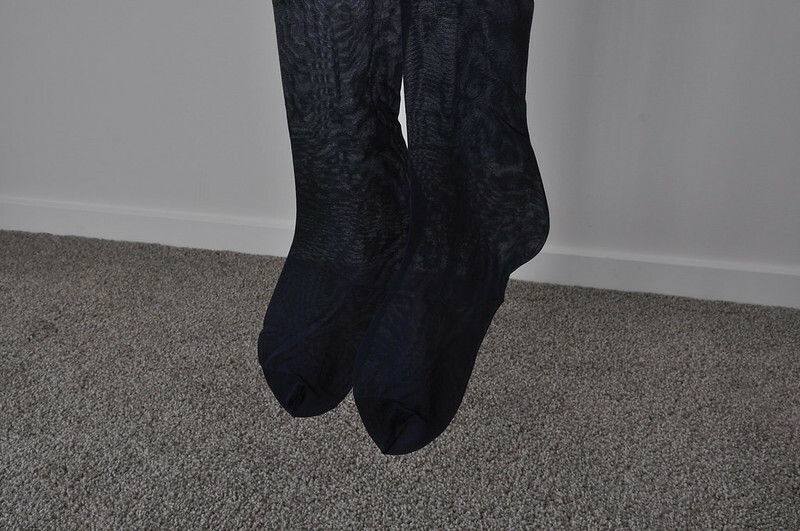 You can also check out my thoughts on Falke Pure Shine 15 Tights here.